Recognised as a world- renowned Moorfields Eye Hospital Consultant (2010 – 2015) at the top of her profession both in the NHS and privately, Valerie Saw is a Senior Consultant LASIK eye surgeon who carries out laser eye surgery in the internationally renowned Harley St area, a centre for medical excellence since the 1800s. She has performed thousands of eye surgeries in her career with outstanding results. She is an expert in LASIK, cataracts, corneal transplants, keratoconus, Visian ICL, and multifocal implants. A pioneer in the field, she is the only female surgeon listed in the top 10 UK laser eye surgeons as voted by Clinic Compare.co.uk. The safety of your eyes is paramount. Valerie and her dedicated team of professionals, many of whom are Moorfields-trained, are passionate about providing world class care. Her practice has a consistent track record of excellence and safety. Valerie Saw is a longstanding invited surgeon on the Council of the British Society of Refractive Surgery. She is often referred complex cases, and it’s no coincidence that patients seek her help when things don’t go well elsewhere. Her dedicated team of optometrists, health practitioners, theatre staff, clinic coordinators and practice manager are committed to excellence in safety and customer service, with audit and governance standards set by the Care Quality Commission. Not just a LASIK surgeon, but also an expert in cornea and dry eye. As the lead consultant of the London Dry Eye Clinic, Valerie Saw’s unrivalled skills in managing blepharitis, dry eye and contact lens-related problems mean that your pre-op and post-op surgery care is of the highest possible, meticulous standard which you should expect for any doctor who is dealing with your most precious sense, your eyesight. Not only is she an outstanding and skilled surgeon, Valerie’s goal for you is to have both excellent outcomes of surgery and excellent ocular health as a whole. She is often asked to see patients with complicated cornea and dry eye problems when others have not been able to correct these. Academic expertise you can trust. Valerie Saw is one of a small number of LASIK surgeons to have a PhD and a clinical academic portfolio at the UCL-Moorfields Institute of Ophthalmology, which gives her trusted expertise in only utilizing technology where safety and efficacy has been rigorously evaluated. She is involved in innovative medical and surgical research as part of her research program. With a reputation for providing the highest quality care in refractive laser and intraocular implant surgery, Valerie Saw is one of a specially selected group of Examiners for the Royal College of Ophthalmologists’ UK Certificate in Refractive Surgery. A vision correction surgeon who uses the full range of state of the art technology including laser surgery, corneal surgery, lens implants and implantable contact lenses, Miss Saw gives bespoke, personalised treatment recommendations to your eyes. She is expert in deciding suitability for laser surgery, or suitability for alternative sight–correction procedures. Her sole aim is to give patients the best possible vision, with a long lasting solution which gives outstanding results. She’s not interested in processing as many patients as possible. State of the art technology. At world-leading Advanced Vision Care, a boutique state of the art laser facility in prestigious Harley St, where she works alongside invited NHS and International Consultant LASIK surgeons at the top of their field, Miss Saw uses world’s most reliable and safe laser combination for wavefront guided laser vision correction. This is all laser bladeless wavefront guided LASIK surgery using the state of the art AMO Intralase Femtosecond Laser for flap creation, and the German Zyoptix Technolas Perfect Vision Excimer Laser with sophisticated multi-dimensional eye tracking. 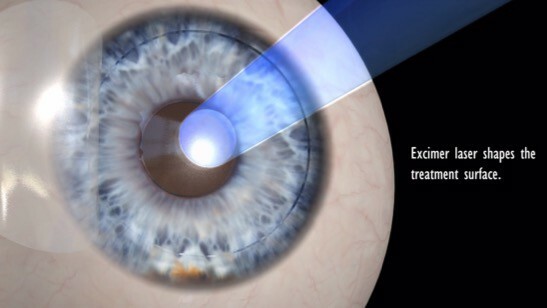 The combination of these FDA approved lasers removes 50% less tissue than most other lasers currently in use. This, combined with Ms Saw’s expertise and experience, means that she can safely treat prescriptions and conditions that most other laser vision surgeons cannot. Guaranteed continuity of care. Valerie Saw will always see you, at every visit. She is personally responsible for your care, and committed to delivering an exceptional patient experience from beginning to end. Availability 24/7. Valerie Saw’s patients know that they are in the very best of hands. They are able to contact her at any time. Peace of mind cover. Laser eye surgery with Miss Saw comes with free postoperative consultations for the first 12-24 months. 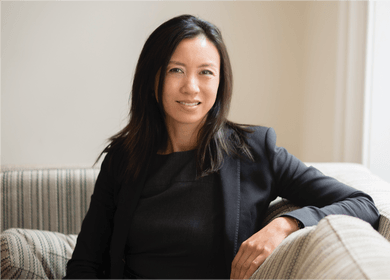 For the most comprehensive and safest care by an outstanding surgeon and a pioneer in her field, choose Valerie Saw, the only female in the UK top 10 LASIK eye surgeons and lead consultant at the London Dry Eye Clinic at the pinnacle of her profession.